It is with humble acceptance of God’s will that we announce the death of Loice Buka Akong’o of Kenya Plant Health Inspectorate Service (KEPHIS). Wife of Charles of Odero Akong’o of Uyoma West Location. Mother of Phelisian Madiany and Rachel Osuka. Daughter of the late Pastor Daniel Washington Buka and the late Luciana Owendi. Daughter in-law of the late Malachi Odero and the late Philisia Madiany, late Mary Ogola, late Esther Kasera and Meresiah Pamba. Sister of Eng. John Manyasi, Rita Bulali, the late Eva Aura, Tabitha Ambani, Lydia Opande and Musa Buka. Sister in-law of late Joseph Dero, late Zadekiah Owino, late Juston Haggai, late Joyce Sumba, late Margaret Juma, late Siprosa Radol, Charles Bulali, the late Matthews Aura, Benjamin Opande, Sammy Ambani, Susan Manyasi, Lilian Musa, Charles Mbaja, Zadok Wayasa, Ouma, Owino, Mboya, Okado, among others. Niece of Rev. Zablon lmbaya, late Brown Likokhe, late Christopher Ambeba, Stanley Alwala, late Ronald Likoko, late Rose Ambeba, Dr. Shadrack Abukuse, Julius Ambeba, Jeans Ambiyo, Martha Ayiro, late Peter Ambeba, Rachel, Florence, Peruse, Repha, among others. Aunty of Ann Thobe, Esther Owendi, Daniel Manyasi, James Anambo, Irene Osieko, Jaqueline Owendi, Susan Miya, Felix Chapia, Richard Siku, Phoebe Owendi, Graham Ambani, Maureen Ambani, Collins Buka, Jessicah Opande, Dan Opande, Jimmy Opande, Caleb Opande, Luciana Opande, Roselida Aura, Elija Aura, Paul Aura. Ougo Radol, Ochieng Radol, Elisha Mito, William Kimaya, Anthony Gunga, Regina Dao, among others. Cousin of the Imbayas, Likokhes, Ambebas, Alwalas, Likokos, Abukuses, Alukoyes, Ayiros, among others. A fundraising to offset funeral expenses will be held on Wednesday 17th April, 2019 at the Holy Family Basilica Cathedral, Cardinal Otunga Annex at 5:30pm. 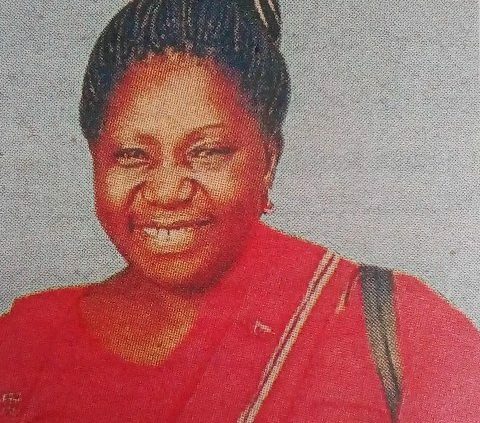 The body leaves Umash Funeral Home on 24th April 2019 for a service at Maxwell Central SDA Church at 11:00am, an overnight vigil at her house in Utawala, before departure to Uyoma. 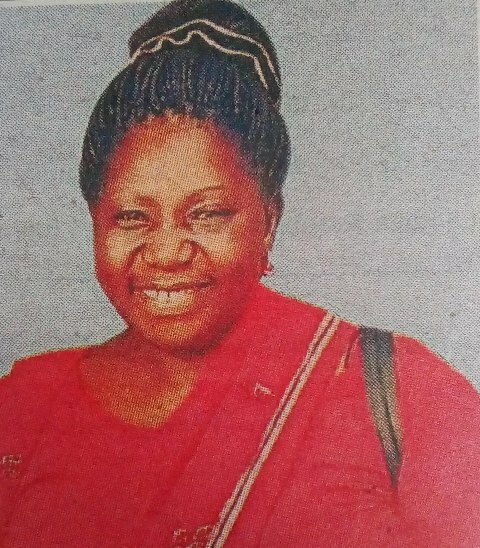 Burial will take place on 26th April 2019 in Uyoma West, Magare Village, Misori Beach, Rarieda County.